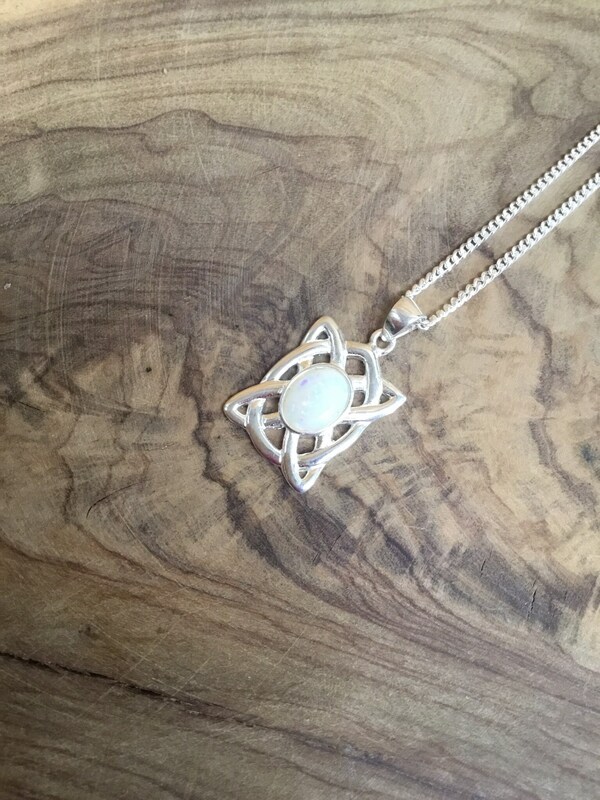 A Beautiful Opal Pendant Set in Sterling Silver On a 16 Inch Curb Chain. 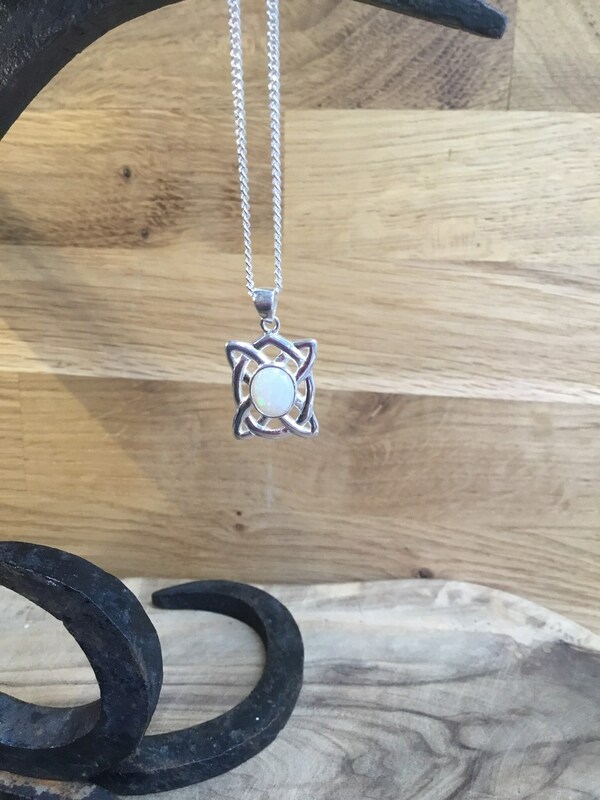 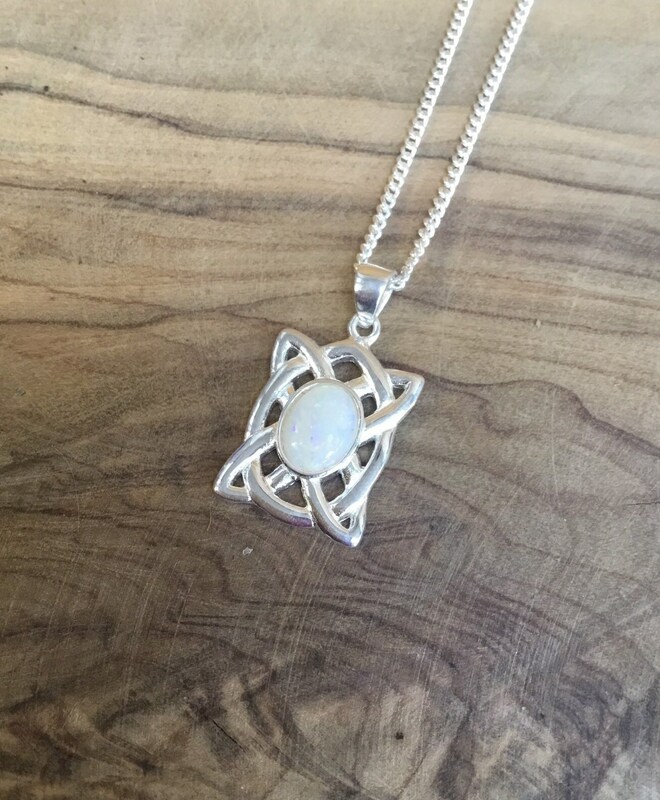 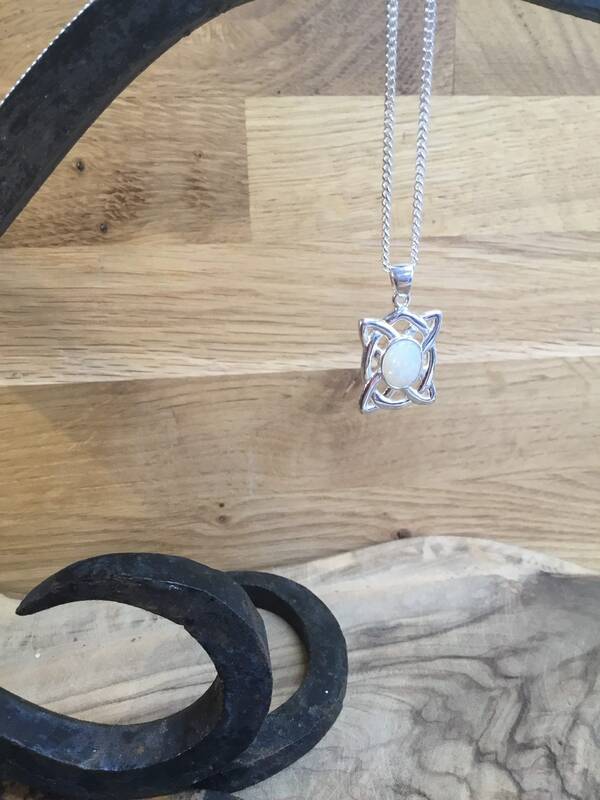 This Lovely Pendant is Set With An 8 mm x 6 mm Coober Pedy Opal, Set in a Rectangular Celtic Design. 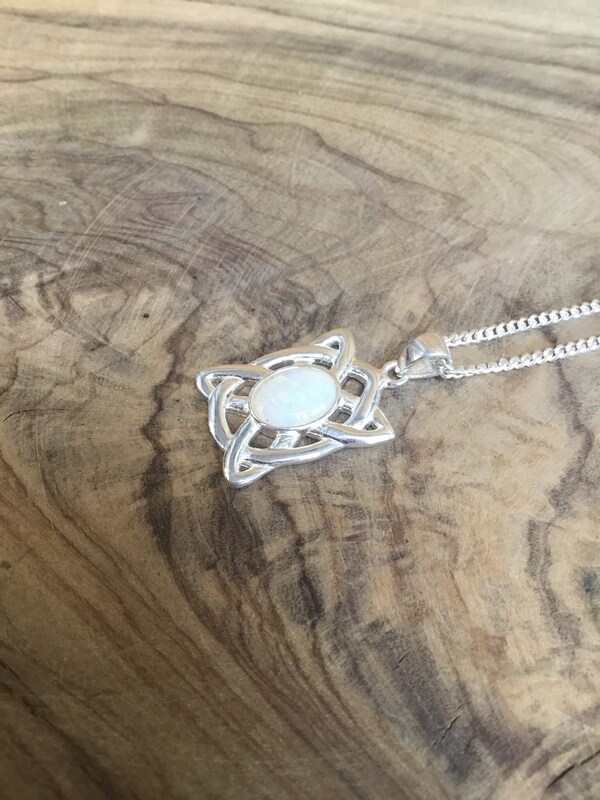 There are an Array of Colours Within This Fantastic Opal and All Pictures Are Taken In Natural Light. 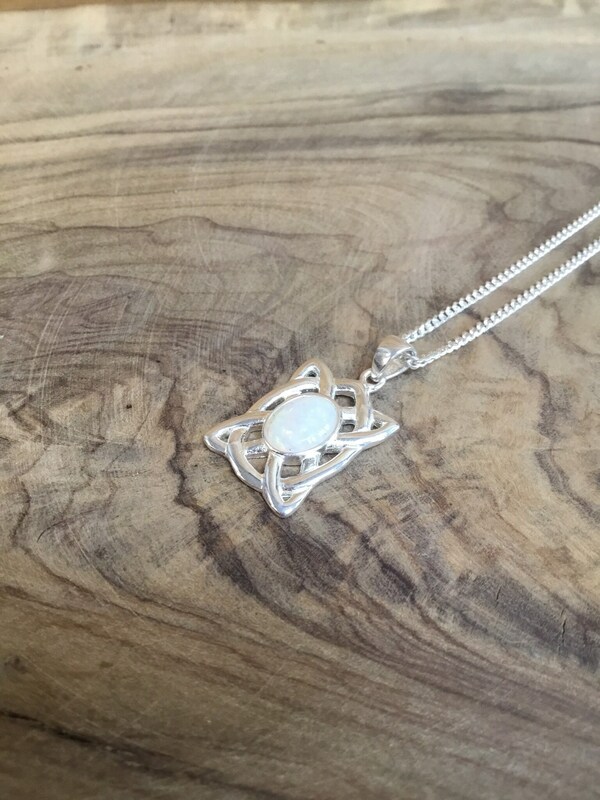 The Setting Including Pendant Loop Measures: 25 mm High, 14 mm Wide and 3 mm Deep. 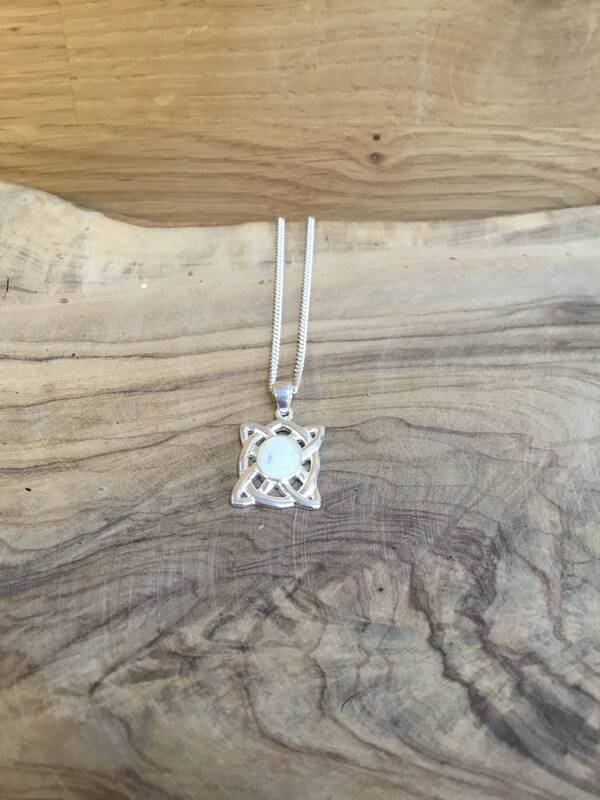 This Would Make A Very Special Gift. 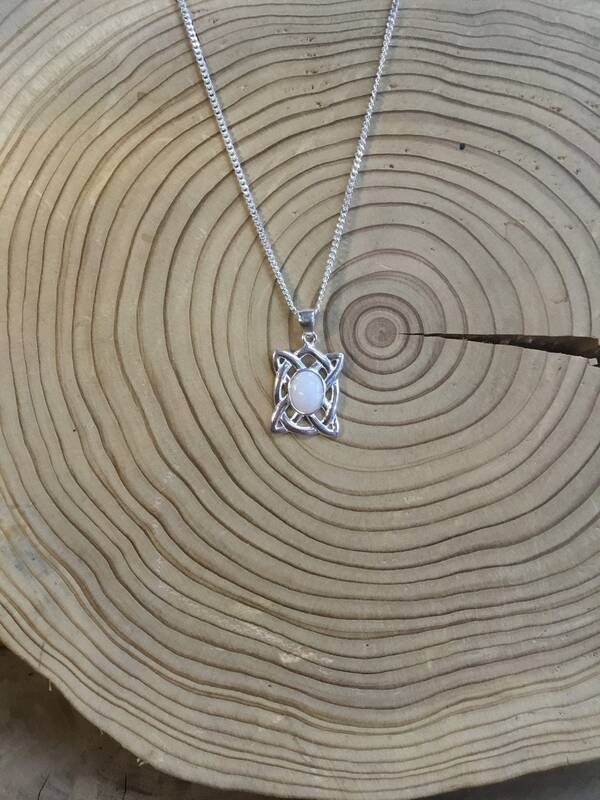 All Orders Over £100 Qualify For Free Worldwide Insured Postage.